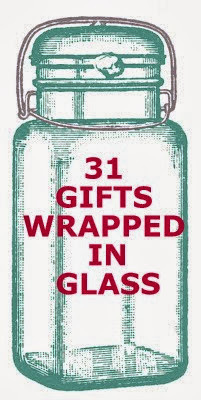 We are nearly half way through my 31 day series on Gifts in Jars. I have been trying to get ready for vacation these last few days. It seems blogging and vacation are difficult to manage. My blogger friends have graciously offered to help me fill my scheduled time off with some of their very own Mason Jar gift creations. Can’t wait to see what they have in store! I will continue my part of the series when I return next week. Ciao! 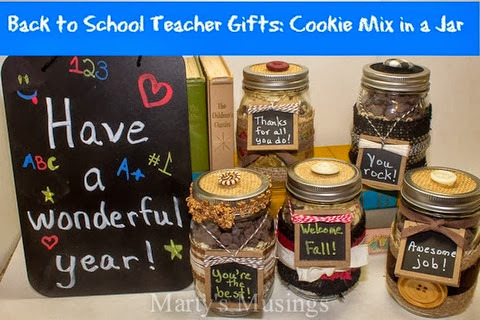 I love these Jars with Cookie Mix from Marty’s Musings. I love the idea of a teacher gift! Wonder if my boys would make these for me? Ha, ha! 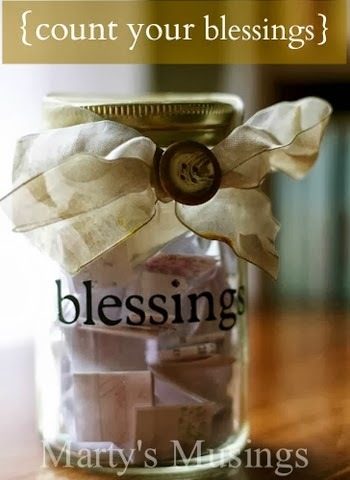 I am definitely going to put a Blessing Jar on my list of to-do’s. Also from Marty’s Musings. The black top and matching spout on Ann’s Jar are so eye catching. What a great idea! 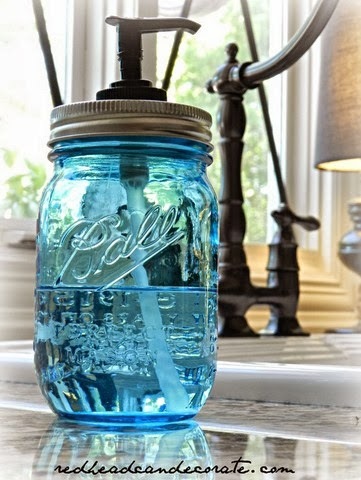 This gal used a blue jar, oh my! I never would have thought of that! Love it! 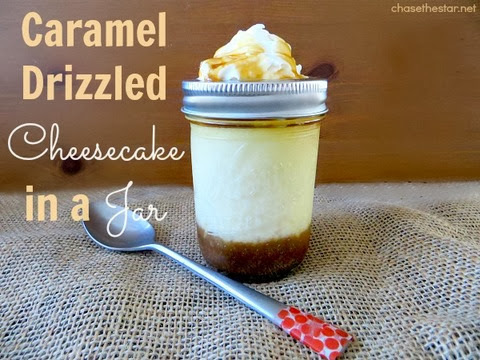 Chase the Star had this yummy Caramel Drizzled Cheesecake in a Jar! Seconds please! 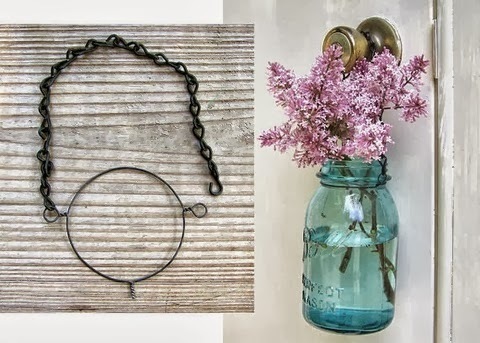 Kirb Appeal came up with this great Jar hanger, what a beautiful way to deliver flowers!